Anulom vilom pranayam, also called the alternate nostril breathing technique, is an incredible energiser, which works effectively to relieve stress and anxiety. Regular practitioners have also treated their serious health conditions that include heart problems, cartilage, depression, asthma, high blood pressure and arthritis. Some of the practitioners also treated bent ligaments, neural issues, migraine pain and sinus by exercising anulom vilom pranayam. The traditional practice is mainly exercised for relaxation and strengthening of the mind and it also prepares the entire body for meditation. More and more people have been engaging themselves in this yoga exercise owing to its convenience. Sit on a mat on the floor. 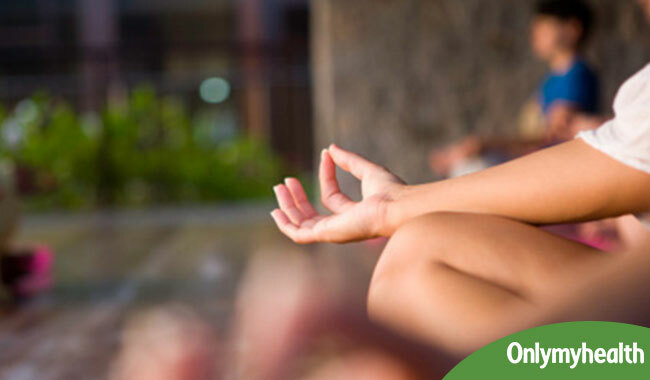 Cross your legs into the padmasana pose. If you cannot fold your knees completely, bend them as much as you can. Those who have arthritis can sit on a wooden chair with a straight back. Now place one hand with the palms facing the ceiling. Place the thumb of your other hand on one nostril and fold the index finger. Keep the ring finger extended so that it can be used to close the other nostril. Do not lift your elbow too high, your hand will get fatigued after a while. Leave it loose and by your side. Now inhale deeply through one nostril while keeping the other one closed with your finger. Now, open the other nostril and close the one you breathed in and exhale. This is one cycle. The left nostril represents the energy of the moon that symbolises peace and tranquil and therefore, has a cooling effect. If you must purify the different Nadis or channels of the body, you must begin anulom vilom pranayama with the left nostril and exhale with the right. This is referred to as "one cycle". Start the second cycle by inhaling with the right nostril and exhaling with the left. Repeat the cycles steadily in the beginning i.e. till your body has become strong. As the days pass, increase the number of cycles and reach the optimum level gradually. Once you have achieved the strength to practice the cycles for a longer duration, inhale with as much force as you can and then exhale with the same intensity. While you are repeating this pranayama, repeat "OM" in your mind. 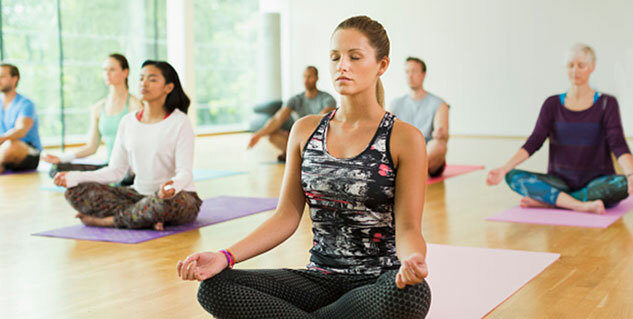 This meditation technique is helpful in uniting the body with spiritual powers to help reap the maximum benefits of anulom vilom possible. Pace of Breathing: While doing this exercise, no breathing sound should be audible. The speed of inhalation and exhalation should be so gentle that even a small wad of cotton placed near the nostrils would not move. Ensure that the time taken during rechak or exhalation is double the time taken during purak or inhalation. Practice: Close your eyes during pranayam. Imagine that your Sushumna nadi is being awakened by the friction of the Idaa and Pingla nadis and that energy is flowing right from the Muladhar Chakra or base chakra to the Shasraar Chakra or crown chakra. Believe that your entire body is being cleansed and made healthy. Not just Yogis know anulom vilom pranayama benefits. Scientists also have discovered through a research that the nasal cycle corresponds with brain function. The electrical activity of the brain was found to be greater on the side opposite the less congested nostril. The right side of the brain controls creative activity, while the left side controls logical verbal activity. The research showed that when the left nostril was less obstructed, the right side of the brain was predominant. Test subjects were indeed found to do better on creative tests. Similarly when the right nostril was less obstructed the left side of the brain was predominant. Test subjects did better on verbal skills. Not just the brain, practising of anulom vilom pranayam regularly purifies the different channels of the body, making it healthy, strong and lustrous. It cures all the diseases that occur due to the disturbance of the 'Vata Dosha'. These include rheumatism, gout, diseases that are related to the reproductive organs, and cold. Diseases of the muscular system are cured and are beneficial in arthritis, flatulence and varicose veins, acidity and sinusitis. Relieves stress , fever, eye concerns and ear issues. Treats conditions of constipation, gastric, acidity, allergic problems, asthma, diabetes , gastric problems and snoring. Pranayama or breathing exercise can be a great way to start your day. Early morning is the best time to practice and reap anulom vilom pranayama benefits, especially outside where you can find fresh air. It is recommended to do breathing exercises on an empty stomach. Tip: To do pranayama sit facing east or north in a comfortable cross legged position on a yoga mat. Make sure your head, neck and chest are in a straight line and keep your spine stretched. Pranayama should not be performed within an hour of eating, bathing or sexual activity without at least an hour gap.